Ellen Baum is Managing Director of EIRP. With a long history in climate, air pollution and environmental science, management and policy, she oversees a number of key functions to facilitate the smooth operation of EIRP. Previously, Baum served as senior scientist and Director of the non-CO2 pollutant program at the Clean Air Task Force. She founded the Climate and Health Research Network and was a founding member of the International Biochar Initiative. 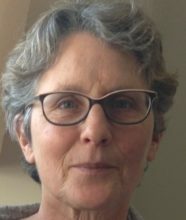 Over the course of her professional life, she has worked in the private (Resource Conservation Services), public (Maine State government), non-profit (numerous NGOs) and academic (taught at Colby and Bowdoin colleges) sectors. She has served on many boards, and currently serves on the Board of Energy Options Network (EON) and Friends of Baxter State Park. Baum holds a BA from Antioch College, and Masters in Forestry and Public Health from Yale University.